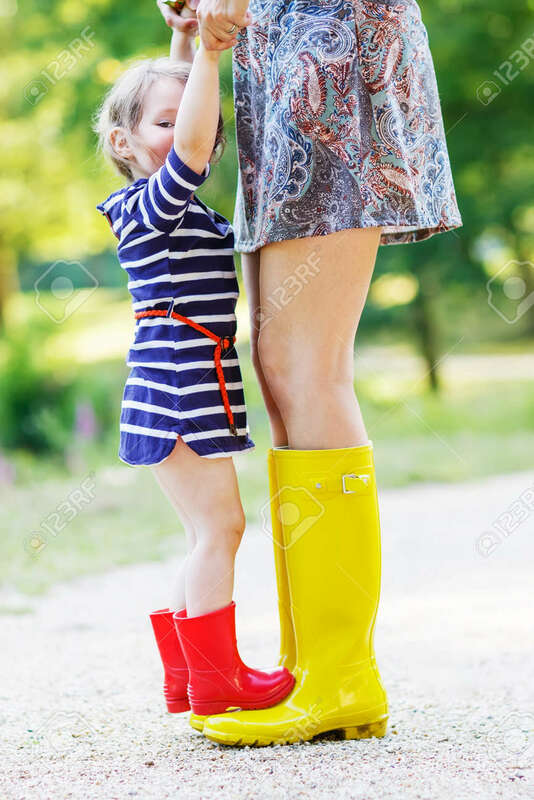 Young Mother And Little Adorable Child Girl In Rubber Boots Having Fun Together, Family Look, In Summer Park On Sunny Warm Day. Long Legs Of Woman. Royalty Free Fotografie A Reklamní Fotografie. Image 35232638. Reklamní fotografie - Young mother and little adorable child girl in rubber boots having fun together, family look, in summer park on sunny warm day. Long legs of woman. Young mother and little adorable child girl in rubber boots having fun together, family look, in summer park on sunny warm day. Long legs of woman.